The Oxen of the Sun: Is this the cover to Murakami's 1Q84? 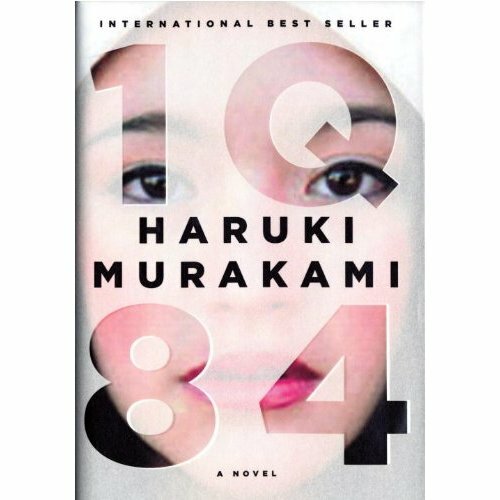 Is this the cover to Murakami's 1Q84? Looks to me like two layers-- perhaps along the lines of the UK edition of Tom McCarthy's C., with a transparent jacket and artwork printed directly on the boards. Also-- check out that page count! The book's almost 1000 pages, which surely collects all three separate volumes of the novel. Very much looking forward to this one. I came across this a little while ago - should clear some things up!